Leading Manufacturer of medium duty pallets for petrochemical industries from New Delhi. We are an eminent name occupied in offering premium range of Medium Duty Pallets for Petrochemical Industries. In addition to this, client can purchase the offered products from us at very moderate costs. 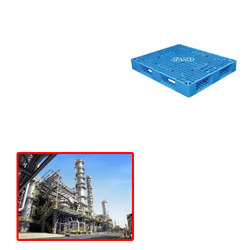 Looking for Medium Duty Pallets for Petrochemical Industries ?